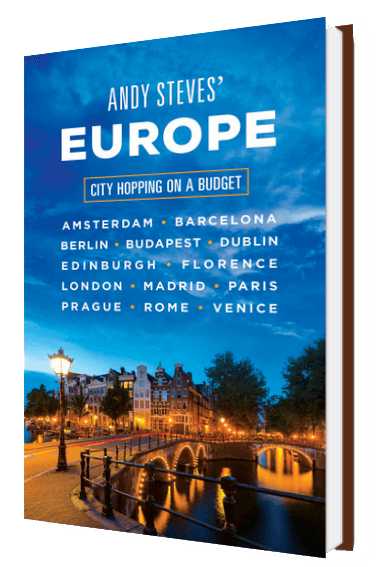 This book picks up where crowdsourcing leaves off, covering the flashpacker skills you need for spur-of-the-moment trips to Europe’s top destinations. Book cheap flights online, find rooms at AirBnB, and catch a ride with Uber. Learn which cities match your interests & which to easily combine for a longer trip. Check the Eiffel Tower, the London Eye, and the Colosseum off your bucket list, plus insider tips to skip the lines. Chill at Amsterdam’s coffeeshops, study mixology at London’s speakeasies, and bust moves at Barcelona’s beach clubs. Graze at crêperies in Paris, pubs in Dublin, and aperitivo in Rome. Adapt to the culture to enjoy authentic, unforgettable experiences. HAVE THE BOOK ALREADY? WE WANT YOUR FEEDBACK! Get in touch with us if you'd like to have any visit your school or bookstore. 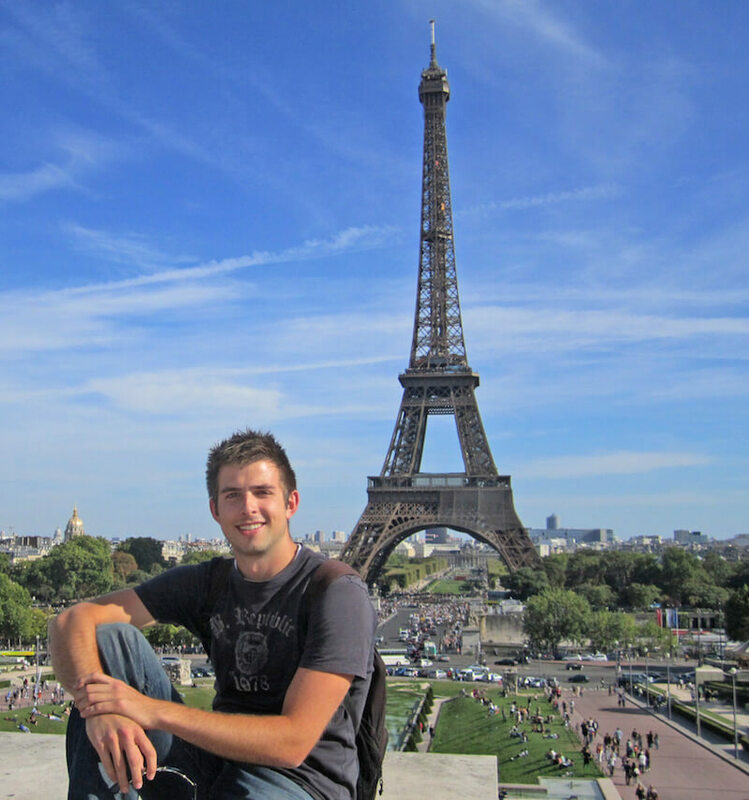 Andy Steves loves to speak to groups about travel writing, practical budget travel tips, how to maximize your study abroad experience and more. If you think it'd be a good fit, get in touch here to enquire. Please provide information about desired subject, audience, length and budget. UNIVERSITY ADMINISTRATOR OR TRAVEL BLOGGER? We're happy to send you a free copy of the first edition of Andy's guidebook. Just fill out this google form, and we'll get one to you in the mail! Get in touch to schedule a date. Spring 2018 schedule is being designed now. 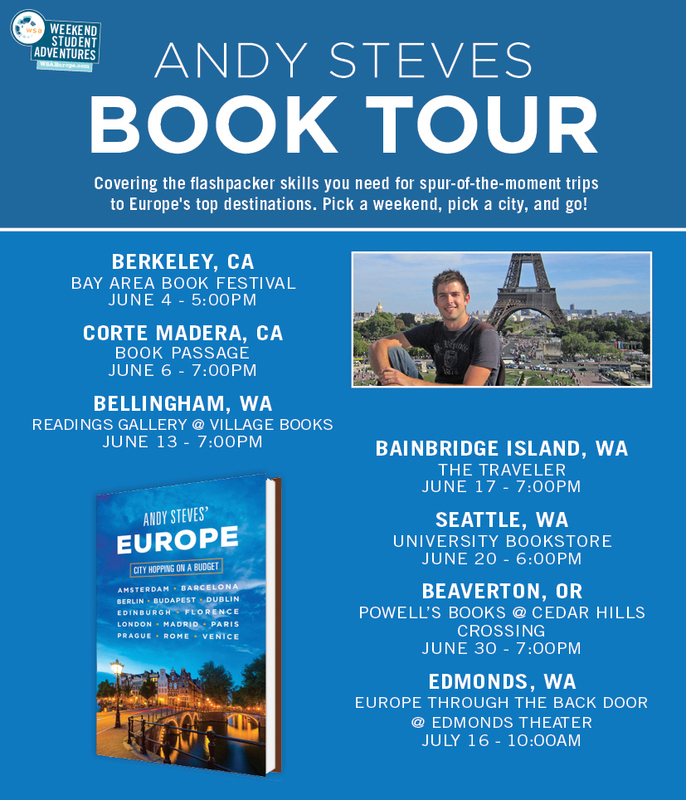 Andy Steves was born into a traveling family and cut his teeth from day one, heading to Europe each year while his father updated his guidebooks, made TV shows and researched new tours. His father’s passion for travel, in-depth cultural experiences and efficient, affordable travel rubbed off on Andy during these family trips each year once he graduated from the stroller. A semester abroad during his undergrad at the University of Notre Dame opened his eyes to the fascinating world of independent, budget travel and this is when the need for the next generation of travel tips and tricks became painfully clear to him. Upon winning ND’s annual business plan competition with an idea for a student tour company, Andy launched Weekend Student Adventures in 2010 and now runs award-winning trips, itineraries and travel workshops all across Europe. Learn more about Andy Steves here.